A few months ago, I was invited to a community dinner at a local church. I went to it unaware of what I was committing to be a part of. I knew that there was going to be a meal of sorts and that it would serve those who were connected to the homeless population. I imagined a soup kitchen scenario – me serving those who had less than me materially. However, as soon as I peeled back the doors of the church, I was met with hospitality. We all cooked together and served each other. The table was a gathering place. I sat across from women who experienced things that I could never even imagine – living out of their cars, being abandoned, being disregarded because of their physique. Yet, our differences were not the focus. Our purpose was to eat together and to share stories and to celebrate the unity that comes not from sameness, but from openness. I heard stories of new knitting projects, of the shamble of the Philadelphia school system, of new personal achievements. 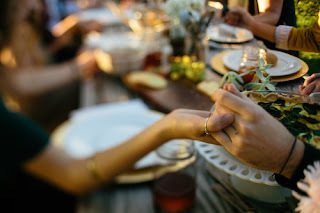 As I looked around the table, I tasted community – utter reliance on one another for the reminders of the joys of living. Moments like these remind me of why I love working at CSM; there is a constant drawing together of groups of people who would not typically interact and a breaking down of physical, economic, and racial barriers that so often keep us in our familiar spaces. I’m continually humbled to be a part of such a community. This is just one example of a day where I have felt overwhelmed with joy to the point of tears about the way that the Lord is working in Philly. My greatest desire is for you to be part of it too; that you could see, hear, feel, and take part of the stories of people who have utterly captivated my heart. Consider this an invitation – will you join us? Become a Facebook fan of CSM Philadelphia! Follow CSM Philadelphia on Twitter! That you can't do anywhere else! Let’s face it, they’re just not as good anywhere else. 2. Stand where the Declaration of Independence and the Constitution were signed! Some amazing history happened in this city, and you can go see a lot of it for free. Philly takes the silver screen with this blockbuster hit. Check out different places where Nicholas Cage discovered clues to our nation’s history. The old Reading Viaduct line sits abandoned above our Prayer Tour route. Friends of the Rail Park are raising money to turn it into a beautiful public space that will serve the city for years to come. Check out the beautiful video of abandonment turned to beauty right in Center City. 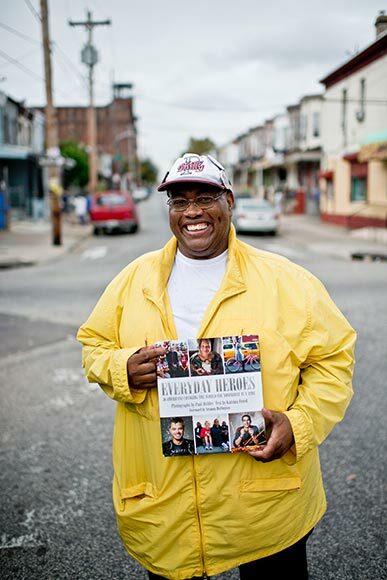 There isn’t anyone in the world quite like a true Philadelphian. They may seem rough on the exterior, but more often than not, they have a heart of gold. Our ministry partners are hard-working and hope-filled. They have dedicated countless hours to helping others in their city, and we would love for you to meet them! Come serve with CSM in Philadelphia!